Riley B. King (born 16th September 1925), known by the stage name B.B. 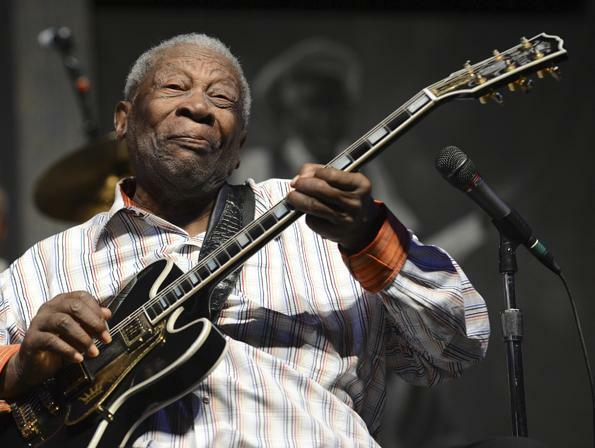 King, is an American blues musician, singer, songwriter, and guitarist. B. B. King (b. September 16, 1925 in Itta Bena, Mississippi) is a U.S. blues guitarist and songwriter. He is among the most respected electric guitarists; Rolling Stone magazine ranked him third in its list of the hundred greatest guitarists of all time. Born as Riley B. King, he began broadcasting his music live on a Memphis radio station called WDIA. 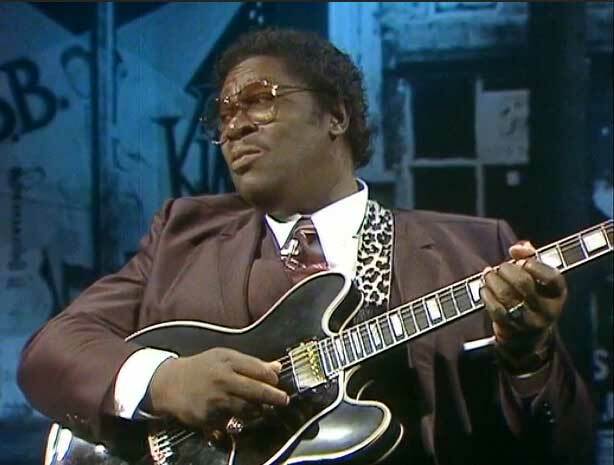 At first, he used the name The Peptikon Boy on air, which later was changed to The Beale Street Blues Boy, and then further shortened to just Blues Boy or B.B. King’s first hit on the R&B charts was “Three o’Clock in the Morning” in 1951. He first found success outside the blues market with the 1968 remake of the Roy Hawkins tune, “The Thrill Is Gone”, which became a hit on both pop and R&B charts, a rare feat. King’s mainstream success continued throughout the 1970s with songs like “To Know You Is To Love You” and “I Like To Live The Love”. 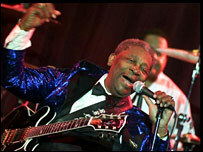 From 1951 to 1985, King appeared on Billboard’s R&B charts seventy-four times. King continues to record to this day, recording both compilations of classic songs with other top artists, and new collaborative material with artists like Eric Clapton. In 1991, B.B. 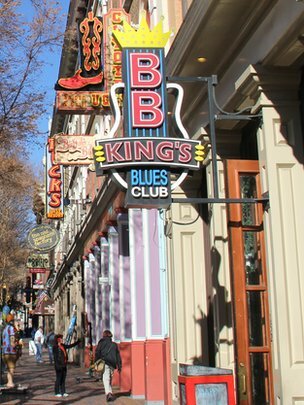 King's Blues Club opened on Beale Street in Memphis, and in 1994, a second club was launched at Universal City Walk in Los Angeles. A third club in New York City's Times Square opened in June 2000. Two further clubs opened at Foxwoods Casino in Connecticut in January 2002 and another in Nashville in 2003. A club in West Palm Beach opened in the fall of 2009 and an additional one, based in the Mirage Hotel, Las Vegas, opened in the winter of 2009. In 2007, a B.B. King's Blues Club in Orlando opened on International Drive. The Memphis, Nashville, Orlando, West Palm Beach and Las Vegas clubs are all the same company. First transmitted in 1985, John Walters talks to B.B. King - aided by his guitar Lucille - about his extraordinary life, from a childhood picking cotton in Mississippi to worldwide stardom.